Below you will find links to upcoming and past webinars. 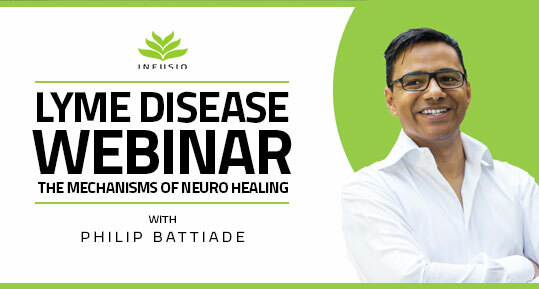 Our webinars are filled with valuable information regarding Infusio’s treatments, our treatment programs, and the science behind our programs and protocols. They are a great resource for anyone, from past Infusio patients to those who have recently discovered Infusio’s treatment programs. There are currently no scheduled upcoming webinars. 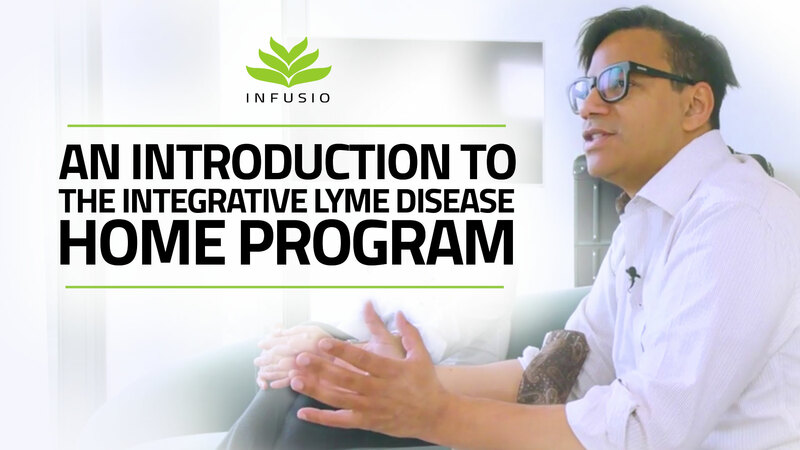 The Infusio Integrative Lyme Disease Home Program addresses the gut and digestive issues experienced by Lyme disease patients. We want to change the intestinal flora. Some bacteria in probiotics produce histamines and while Lyme patients suffer from histamine intolerance, we created a specialized histamine scavenger (different from an anti-histamine) to help with this. Ingredients include aloe vera, quercetin, bromelain (an enzyme found in pineapple), nettle leaf, pine bark, marshmallow root, bitter orange, licorice and black pepper. Zeolite Clay, Psyllium Seeds, KPU Supports, AMPK Enzyme, Methylation Support, and other supportive supplements are included in this program.